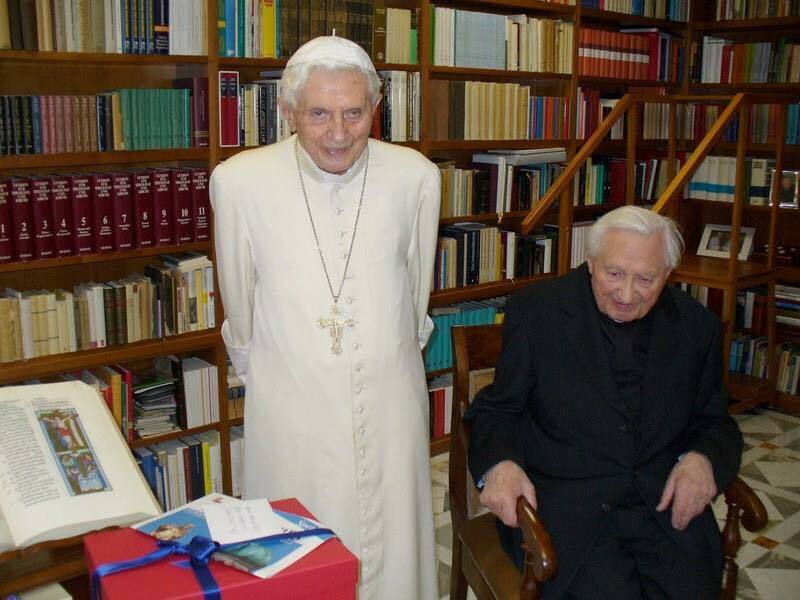 On April 16, 2018, on the sidelines of an event in the Vatican Filmoteca presenting ‘Benedict XVI, in honor of the truth,” a documentary by Rome Reports and TV2000, the Prefect of the Papal Household and Benedict XVI’s private secretary, Archbishop Georg Ganswein described thus how Benedict celebrated his 91st birthday to TV2000, the television news channel of the Italian Bishops Conference. He continued the morning looking at the post. The Memores [‘Memores Domini’ sisters] cooked a lovely lunch for him. He also went for a short walk and, in the afternoon, he prayed the Rosary,” continued Archbishop Ganswein. “Pope Francis wrote him a lovely message, offered the Holy Mass for him and told me to take him his greetings and blessing,” he added. As far as “his health, his mind is fine but his physical strength is somewhat diminished,” concluded Archbishop Ganswein.